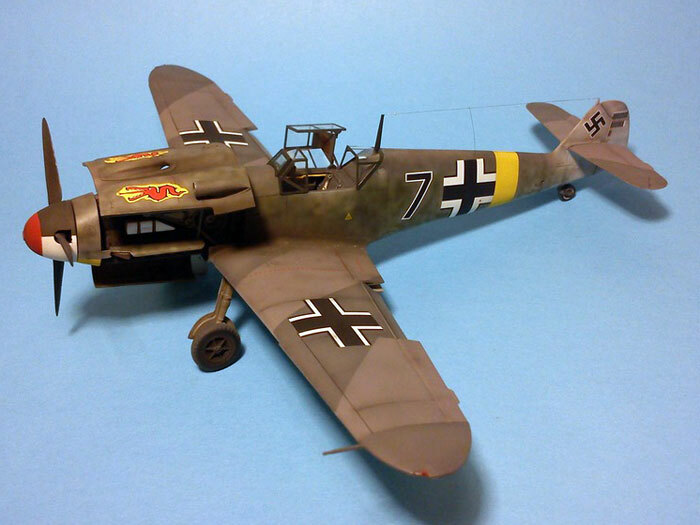 Here is my latest build Zvezda's 1/48 scale Messerschmitt Bf 109 F finished as "Black 7". It is straight from the box with only added seatbelts from Eduard. The model has been painted with Gunze colors. The markings are from the Eagle Strike "Barbarossa 3", aircraft known to have been flown by Oblt. 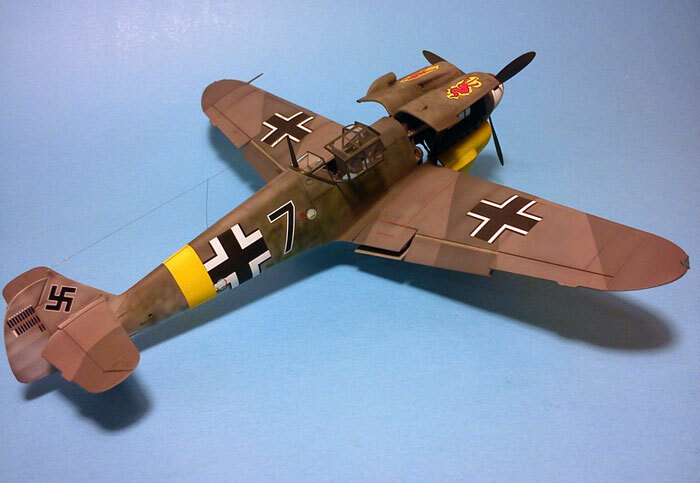 Helmut Meckel 2/JG3 (25 air victories). 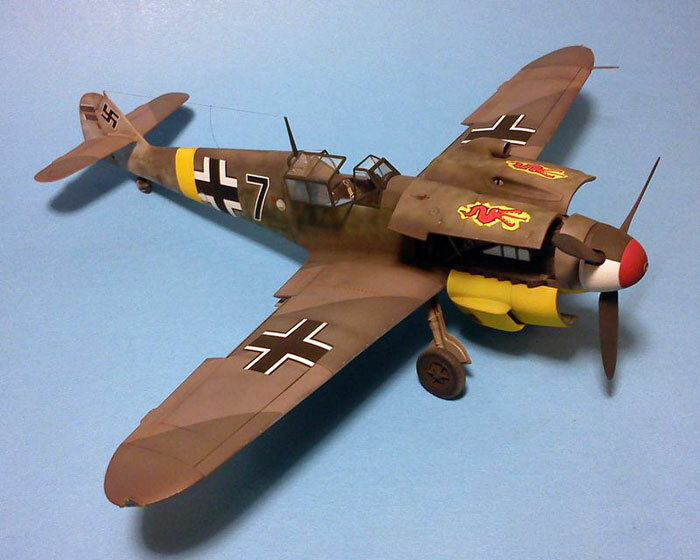 I found some really interesting pictures about this aircraft and non standard camouflage in the great book "Jagdwaffe Vol.3/Sec.2 Barbarosa The invasion of Russia Jun-Dec1941".